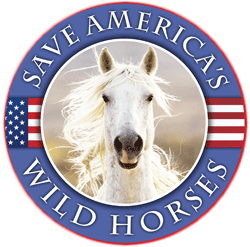 Writer/Publisher Steven Long recently interviewed BLM spokesperson Heather Emmons regarding the disgraceful and unlawful actions being undertaken by her agency while conducting a massive winter time, wild horse roundup in Nevada. Out right lies, violation of federal law, bumbling bureaucracy and total disregard for a Federal Judge’s ruling permeate the conversation as the befuddled interviewee attempted to apply logic to an illogical and out of control government agency. The big roundup in Nevada has begun. But rather than being fodder for a old-fashioned Western, this one is kicking up a fight. Yesterday the Bureau of Land Management launched its mission to capture 2,500 wild horses from public and private lands across the state.